Frank Morris has already escaped from numerous prisons. 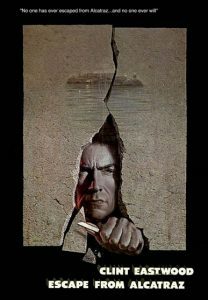 In June 1960, he is transferred to the famous penitentiary of Alcatraz, built on a rocky island in the middle of San Francisco Bay. In spite of the difficulty, he devotes every minute to hatching the plan that will allow him to escape from the most closely guarded prison in the United States. Among the inmates, he finds accomplices ready to join him in this mad scheme.